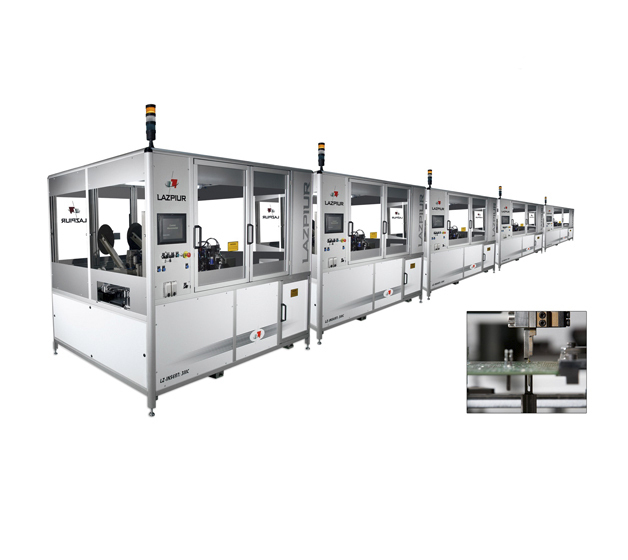 The Basque company has supplied the Japanese multinational with 3 machines to monitor dimensions and electrics of the connectors. The relationship between both companies, which began in 2011, has continued this year with the delivery of the new machines. Lazpiur has delivered 3 new machines to the multinational, Yazaki, in Mexico to monitor dimensions and electrics of vehicle connectors. This delivery consolidates the close relationship that started between the two companies in late 2011, and will continue in the coming months with new orders. The relationship between Lazpiur and Yazaki began in late 2011 when the Japanese multinational needed to acquire a final assembly line for fuses and relays, with the finished product being tested for a project which had Chrysler as the end customer. The manufacture of this kind of machinery is one of the specialities of the Basque company, which already had extensive experience in similar projects with the multinational, Lear. The experience proved satisfactory for both parties and opened the way to a collaboration which has strengthened over the years. Besides working with the Durango plant in Mexico, Lazpiur also started supplying machinery to the Monterrey plant and later established a fluid relationship with the Yazaki US headquarters in Michigan. Recently, Lazpiur delivered another new machine to Yazaki in Durango: a fusebox and relay assembly line for General Motors cars. The latest delivery was made this week, with 3 machines to test connectors so the Japanese firm can improve the performance and quality of its products. Thus, Lazpiur has now delivered 6 machines to Yazaki for testing connectors, and this relationship is expected to continue in the coming months with the supply of similar equipment. The machines delivered this week support different connectors for dimensional monitoring and testing. They make quick tooling changes, while the machines also test electrical continuity and high voltage (1000V). The Basque firm has extensive experience in the manufacture of machines of this type. Lazpiur has worked in 25 countries and is currently undergoing expansion. The company specialises in the design and manufacture of machinery and precision tooling for forging. These 2 distinct divisions are mostly focused on supplying multinationals such as Ford, Mercedes and Volkswagen, and Tier 1 companies like Lear, Delphi, Continental, GKN and NTN.